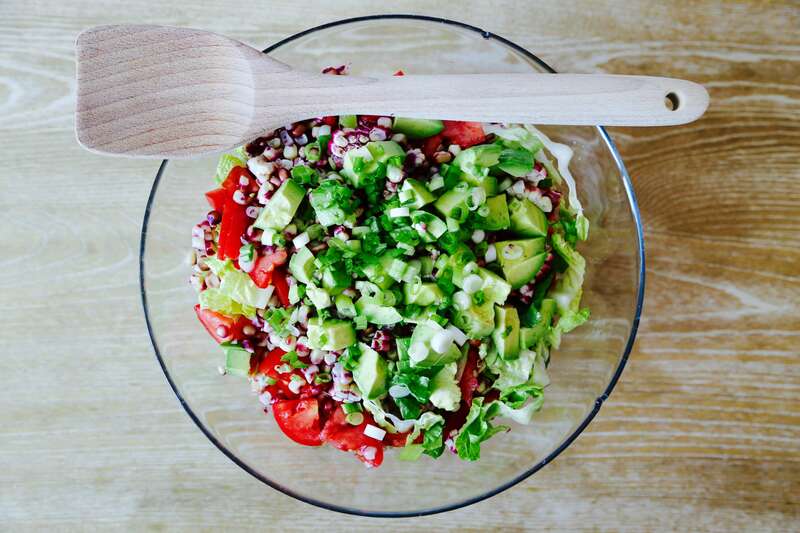 Here is another simple salad recipe that will become a party favorite in no time! We promise! No fancy techniques here – just chop all the ingredients and mix them in a bowl with the dressing.